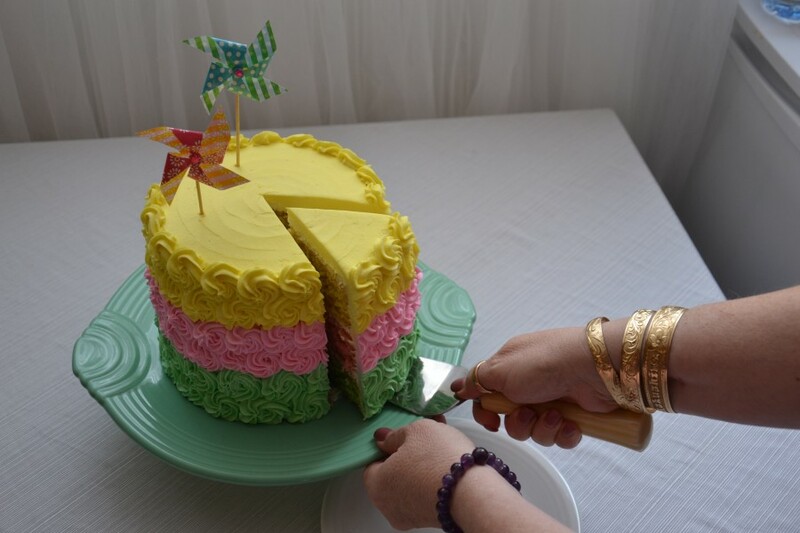 I baked this cake earlier in the Spring – the colors are so joyful and charming. 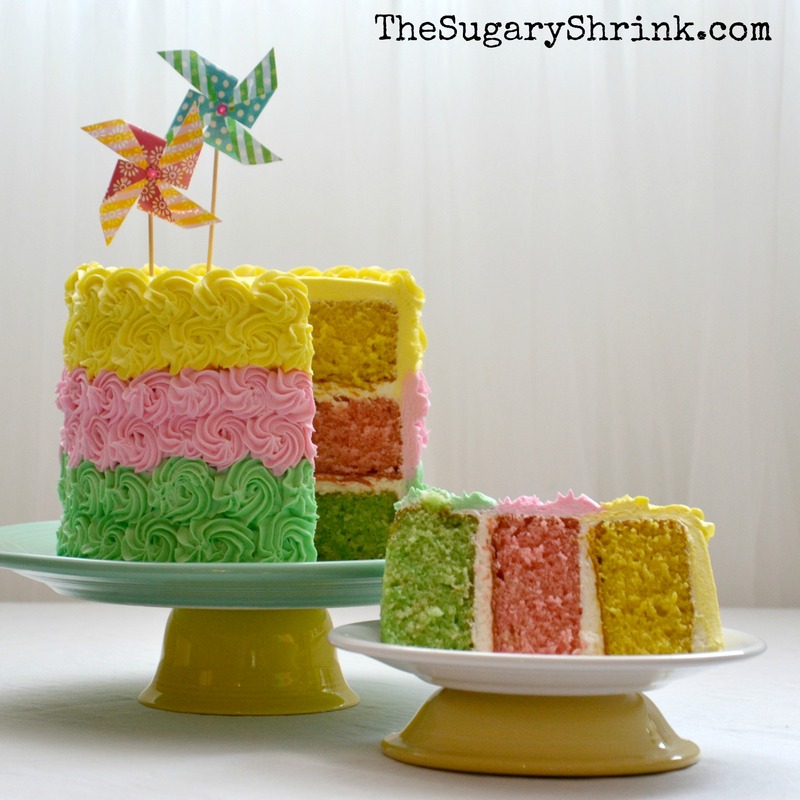 It might seem like a cake that’s complicated, but the directions are straight-forward and provides a big “WOW” moment. 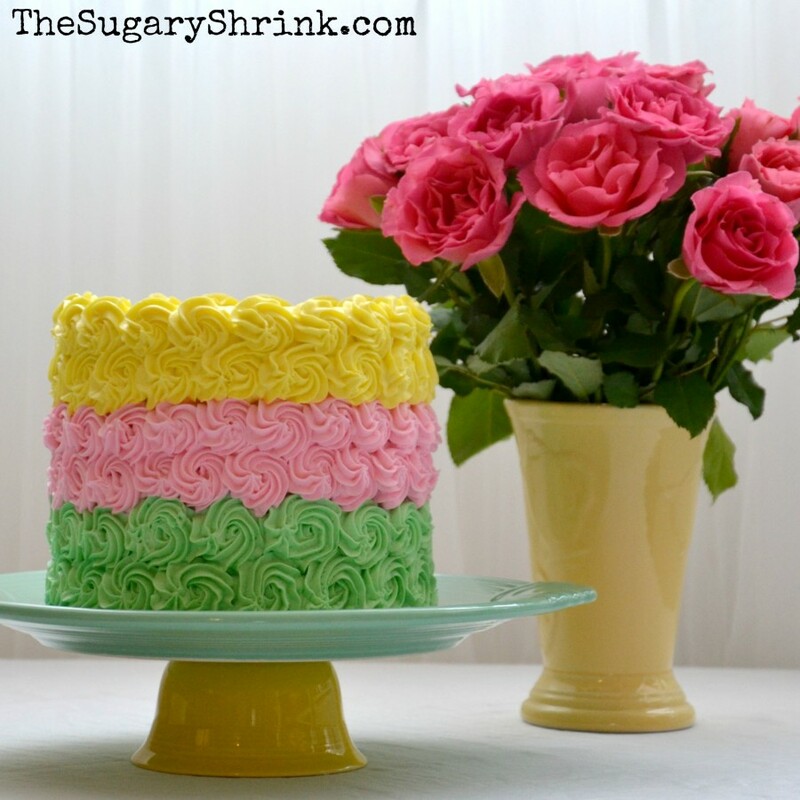 One of the best components of this cake is it’s versatility – I chose lovely Spring colors. But I can’t wait for the holidays throughout the year… and coincidentally, I’m looking forward to Halloween! 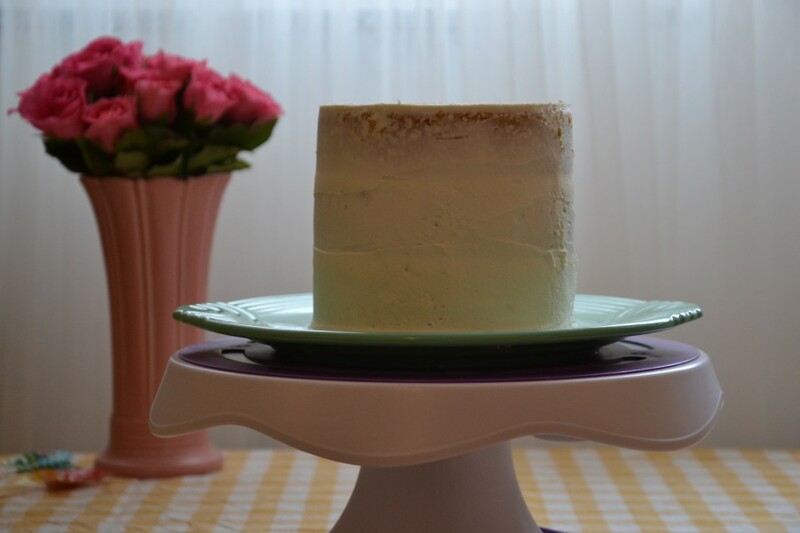 The White Chocolate Layer Cake recipe I developed came about because I couldn’t read the label of the “white chocolate powder.” I was so excited to find it at the market – the canister clearly displayed white chocolate. 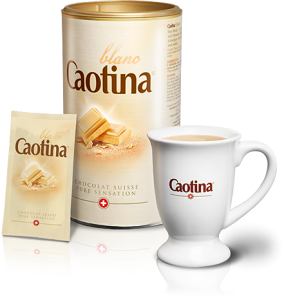 Or maybe, the white chocolate powder was really White Chocolate Hot Chocolate Drink Mix, Blanc Coatina. Oh yeah…that. 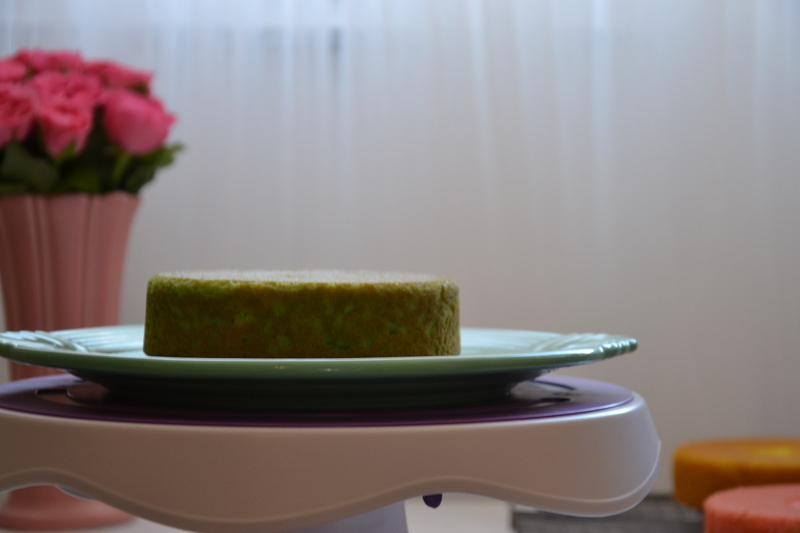 I continued to work with this ingredient and dialed into a delicious cake. Sometimes, the Test Kitchen leaves me in a fit of giggles and this was one of them – with the joke on me. 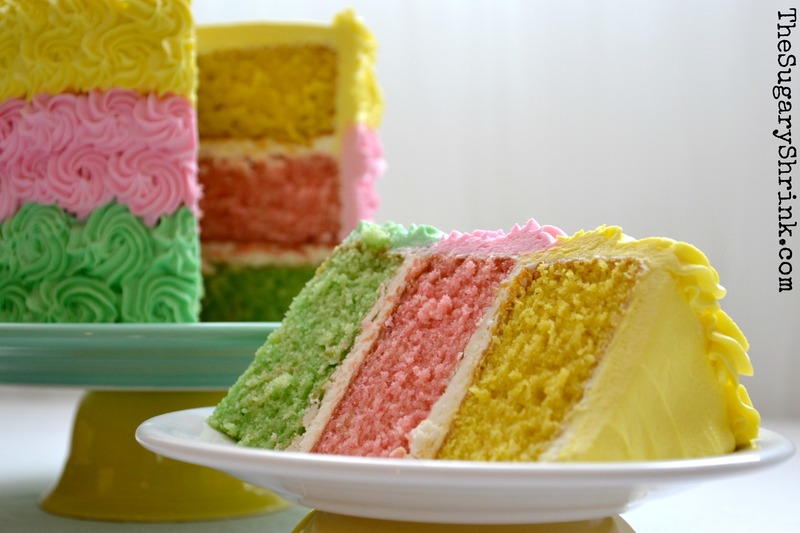 The basic technique for dividing and coloring: weigh the pans, divide evenly by weight, tint each division of batter the desired color. Boom. 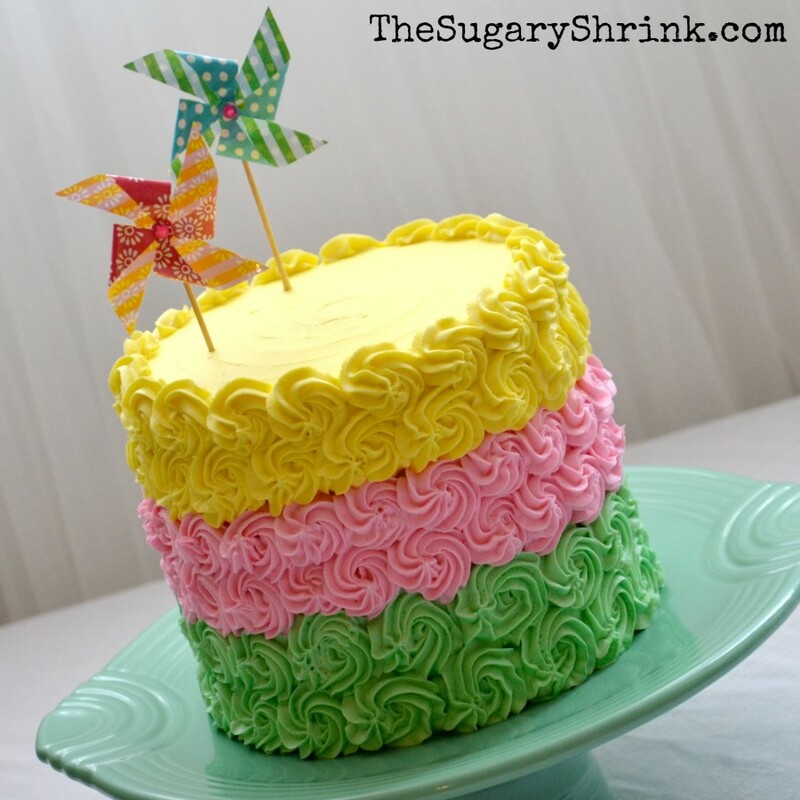 It was Springtime, and this cake went together like this. 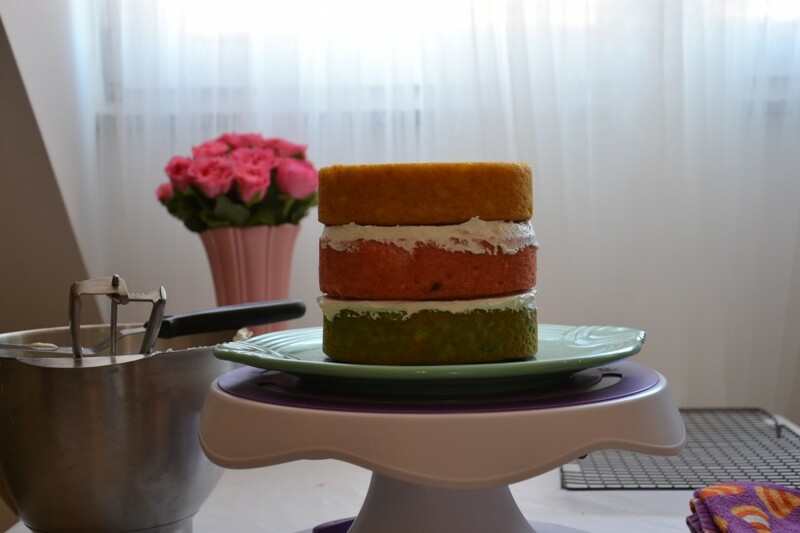 While the cake set up following the crumb coat, I whipped up the buttercream. 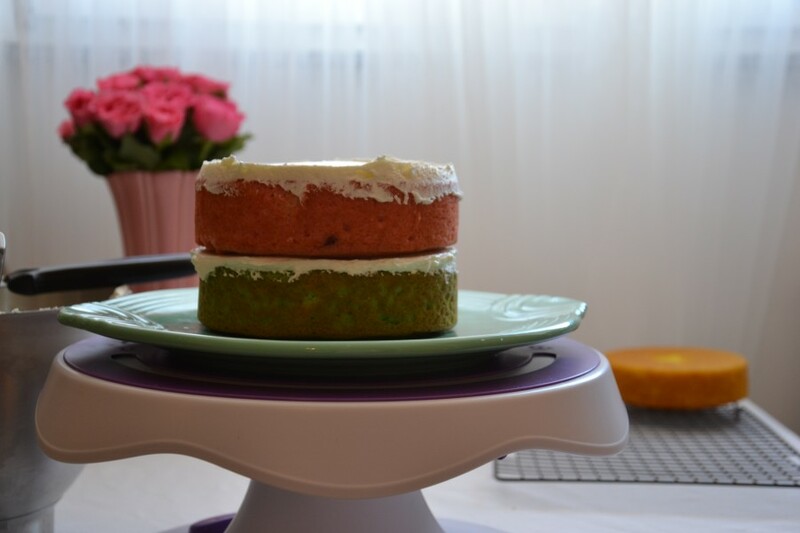 It is the case this wonderful little cake is 6″, so that is a factor in how much buttercream to prepare. 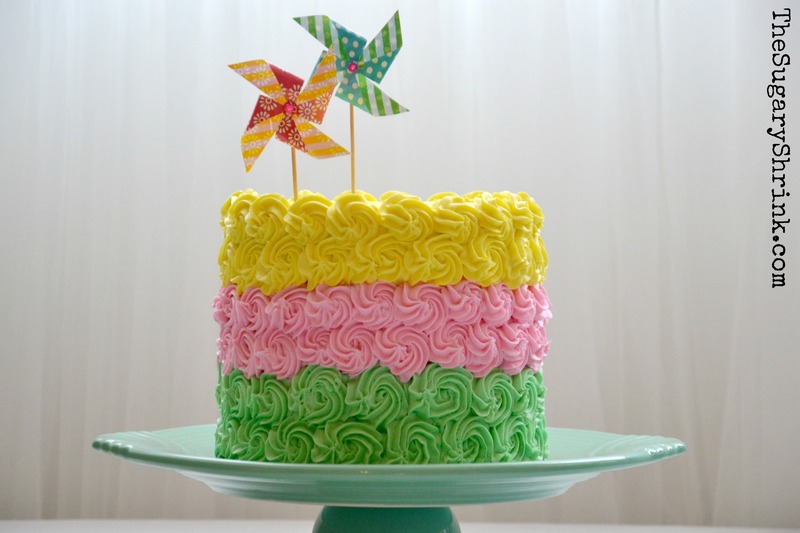 Fair warning: roses and rosettes require nearly double the amount of buttercream compared to a smooth, simple frosting. 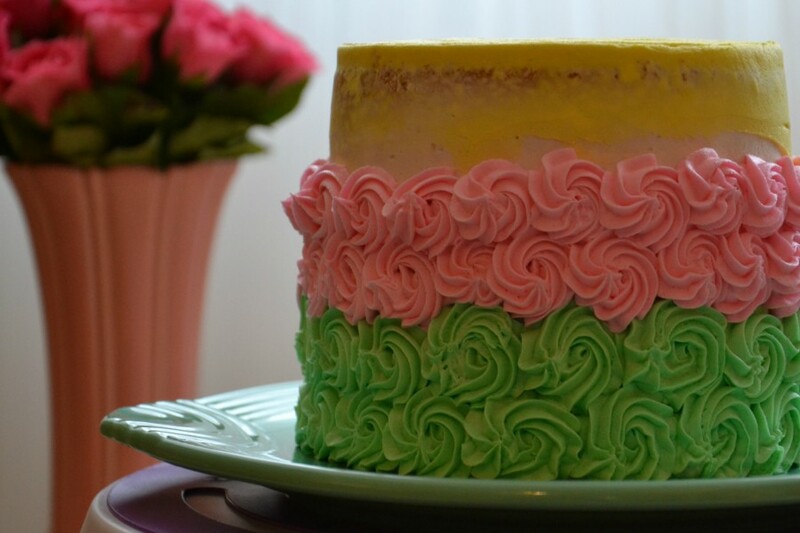 I like to add a small bit of like-color buttercream just behind the roses. I use a Wilton 1M piping tip for roses and a Wilton #22 Open Star tip for the rosettes. I think those little pinwheels I found in a craft store was perfect, especially when considering those springtime breezes! 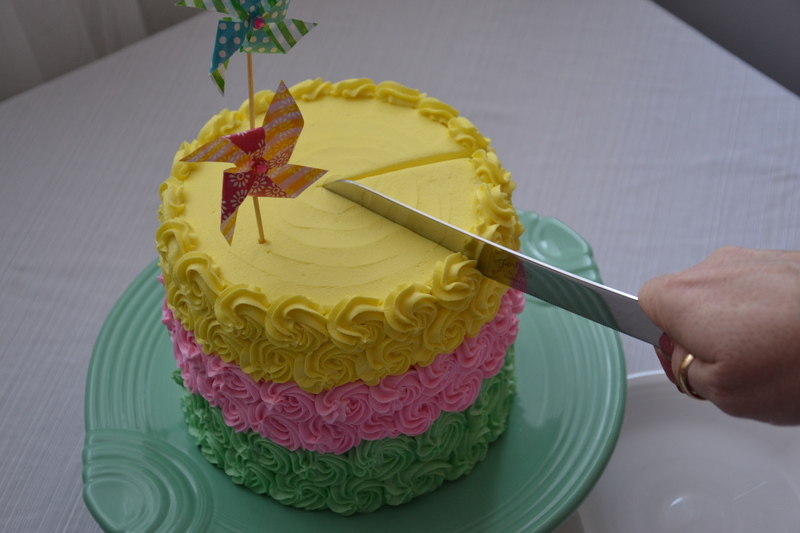 It’s incredibly fun to slice the cake when I know the inside will be a party. 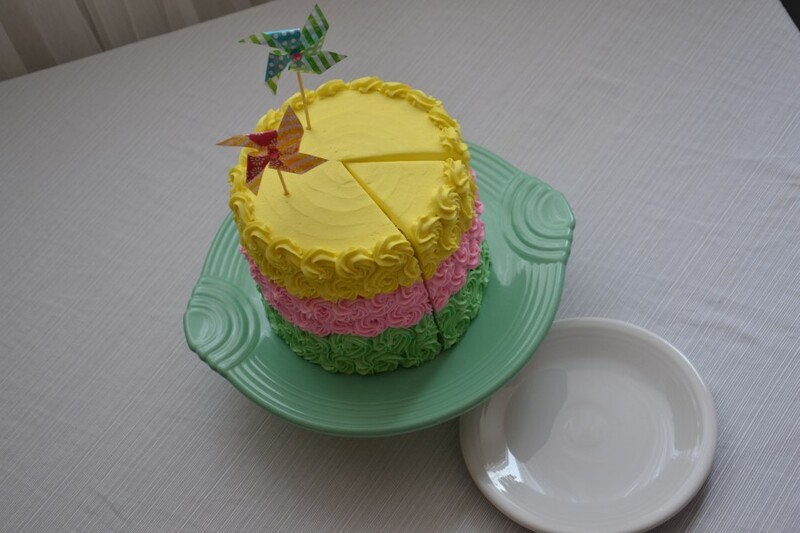 One of my favorite components of this cake is the Fiesta Dinnerware Cake Plate from HLC Dinnerware – the colors blend so nicely and is an ideal platform. 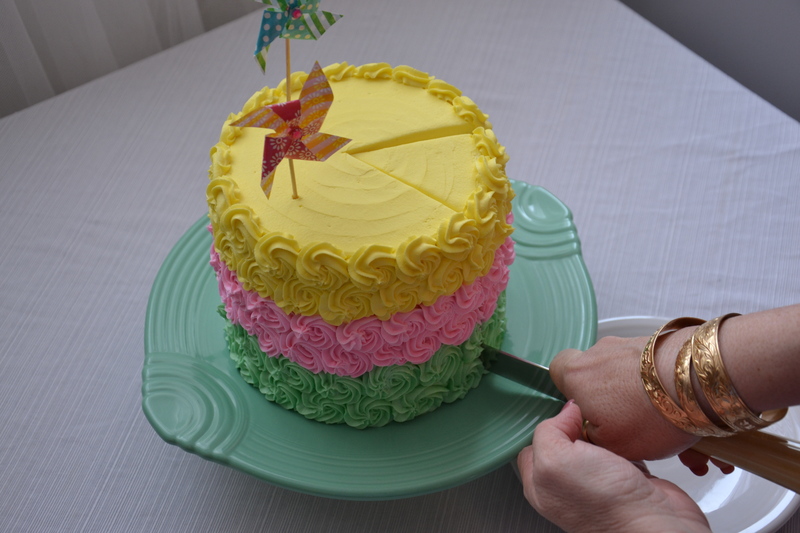 Be warned… it’s so pretty and delicious. The white chocolate is a tasty alternative if you’re looking for something a bit out of the box. 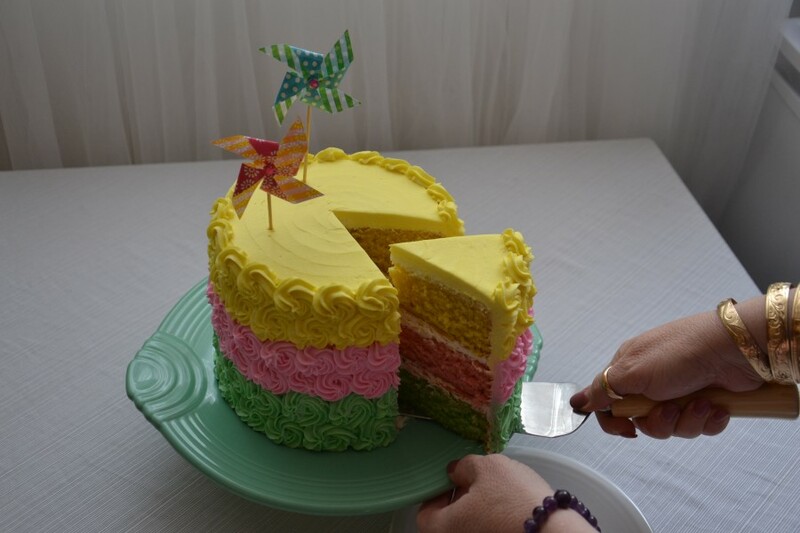 It was good times for sure when sharing this cake with my life partner. 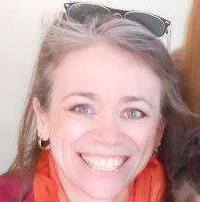 It for sure is good times in sobriety.